You may not believe me, but I have good news about climate change! How can this be possible I hear you say, we usually only hear stories of doom and gloom? Well the good news is that I know of at least 50 people in the UK and Malaysia putting all of their passion, heart and intelligence behind the quest for a more sustainable future. How do I know this? 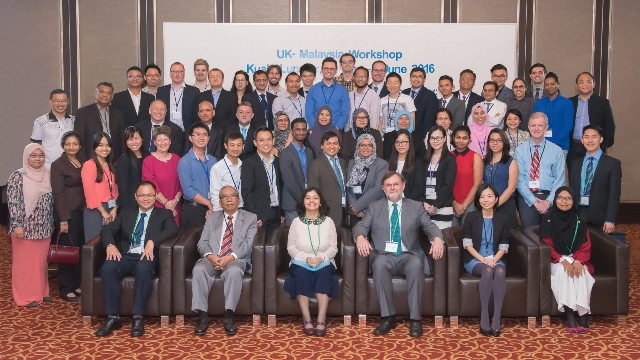 I know because I was lucky enough to meet them all at the UK-Malaysia workshop on Bioenergy, Biorefinery and the Bioeconomy that took place 30 May to 3 June 2016 in Kuala Lumpur (funded by the British Council Newton Fund). The aim of the workshop was to bring together early career researchers, stakeholders and experts in bioenergy and biorefineries to interact, learn from each other and explore opportunities for long-lasting research collaborations. This was achieved with great success and the organising committee should be commended on putting together this hugely successful workshop. We were all very sad when it ended but are excited to build on the relationships and ideas generated during this event. The blog is recreated from Dr Chong’s original. More information about the workshop can be found on the CES news website.